For that look of ultimate elegance, this A. Jaffe diamond halo pendant is the perfect design for true sublime beauty. 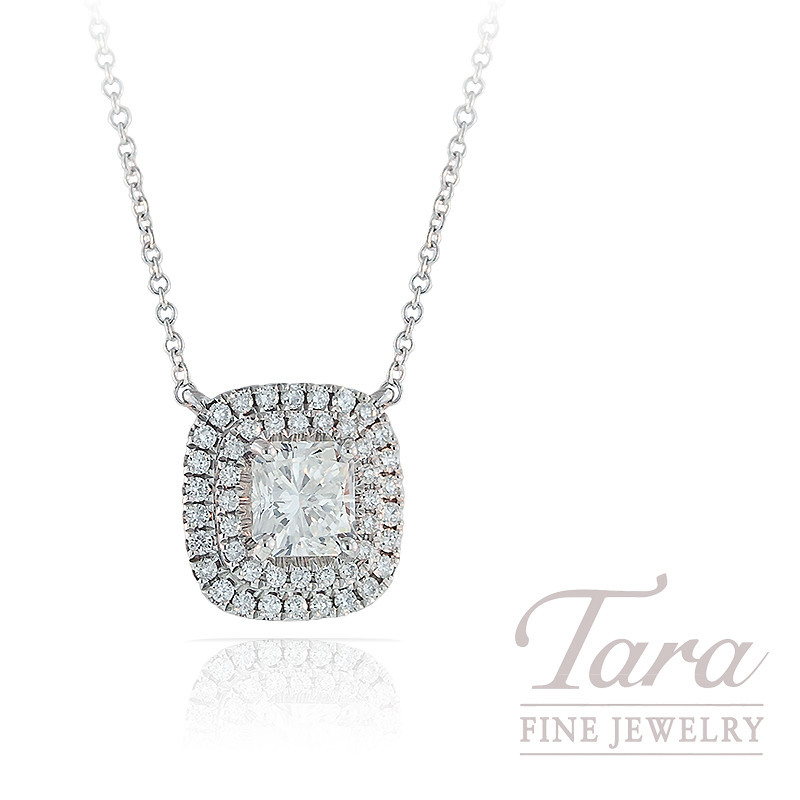 Classically styled, this A. Jaffe pendant absolutely sparkles with its double halo of 46 round diamonds, .26TDW. Crafted in rich 18K white gold, this stunning pendant features a .76CT radiant cut center diamond that beautifully shines within its shimmering halo. See this exquisite A. Jaffe pendant at Tara Fine Jewelry Company, Atlanta's premier jeweler and home to top jewelry designers. Specializing in diamond engagement rings and luxury Swiss watches by Rolex, Omega and Breitling, Tara Fine Jewelry Company is located in Buford 3 miles from the Mall of Georgia.